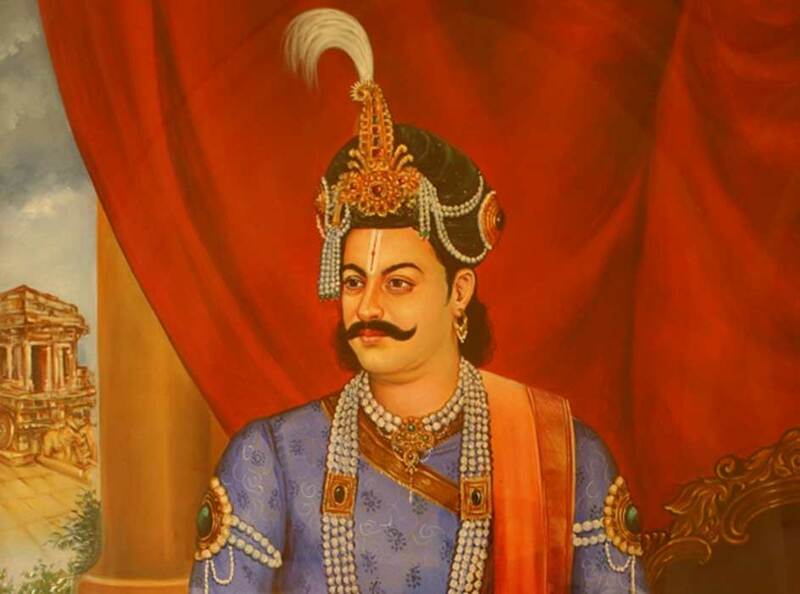 Krishnadevaraya ruled ancient India’s Vijayanagara Empire for only about two decades, however his power, skills, and personality were made known in that short amount of time and so it seemed much longer. His military campaigns expanded the empire and made it a seat of power, his artistic and architectural interests withstood the passing of time and influenced others, and his diplomatic skills had an impact on how the Portuguese viewed and interacted with the subcontinent. Krishnadevaraya (Sri Krishnadevaraya) was a member of the Tuluva Dynasty, the third dynasty that ruled the Vijayanagara Empire, a southern Indian empire based in the region of the Deccan Plateau. He became the third ruler of this dynasty in 1509, succeeding his older half-brother, Viranarasimharaya. When Krishnadevaraya was crowned as emperor, the Vijayanagara Empire was not the dominant force in the region and had to defend itself from the attacks of hostile neighbors. Thus, Krishnadevaraya’s early reign was marked by numerous military campaigns. The emperor first set his sights on the Deccan sultans, who had been conducting raids against the Vijayanagara Empire on an annual basis. 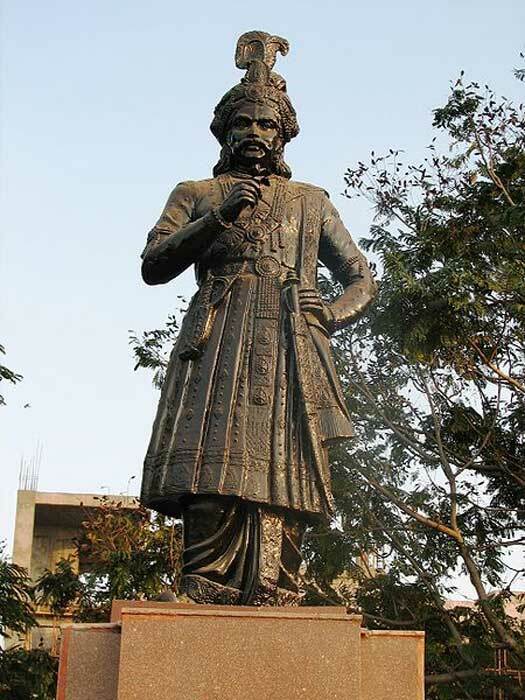 Krishnadevaraya succeeded in defeating the sultan of Bijapur at Diwani in 1509, after which he invaded Bidar, Gulbarga, and Bijapur. Having dealt with the Deccan sultans, Krishnadevaraya then turned his attention to the Reddys of Kondavidu, the Velamas of Bhuvanagiri, and the Ummatur, who were feudatories of the Vijayanagara Empire. These feudatories rebelled against the emperor from time to time, which threatened the stability of the empire from within. Thus, Krishnadevaraya was determined to put them in their place. The chief of the Ummatur fought against Krishnadevaraya on the banks of the Kaveri, was defeated, and later drowned in the river. Another enemy whom Krishnadevaraya fought against and defeated were the Gajapatis of Orissa. A total of five campaigns were launched against them, and the Gajapatis were defeated each time. After the final campaign, Jaganmohini, the daughter of the Gajapati ruler, was given to Krishnadevaraya in marriage, and became his third queen. Apart from being a skilled warrior, Krishnadevaraya was also an astute diplomat. During his reign, the Portuguese had arrived on the west coast of India. The emperor established good relations with the foreigners and encouraged trade between them and his subjects when Goa became the headquarters of the Portuguese State of India in 1510. It was through the Portuguese merchants that Krishnadevaraya acquired firearms and Arabian horses, which further increased the empire’s military might. Moreover, the emperor was also able to utilize the engineering expertise of the Portuguese to improve the water supply system in Vijayanagara, the empire’s capital. 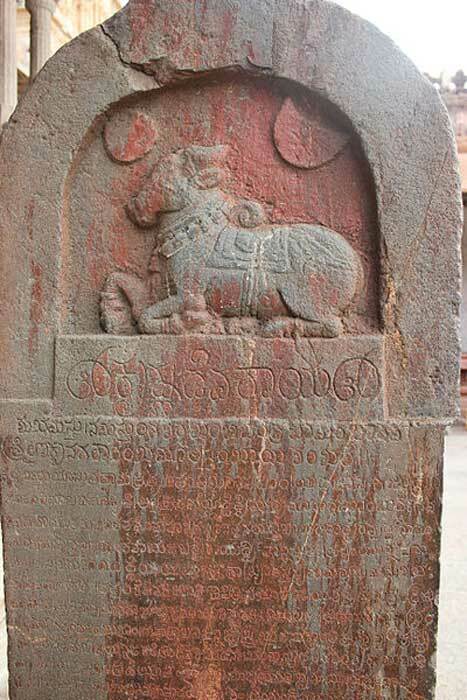 Krishnadevaraya was also a prolific builder, as attested by the many temples built during his reign. Temples attributed to this emperor include the Hazara Rama Temple, and the Vittalaswami Temple, both of which are located in the empire’s capital. Apart from building temples, the emperor also made generous donations to them. For instance, a jewel-studded golden sword and diamond-encrusted crowns were donated to the Venkateswara Temple in Tirumala. Additionally, a new city, Nagalapuram, was built by Krishnadevaraya in honor of his mother. 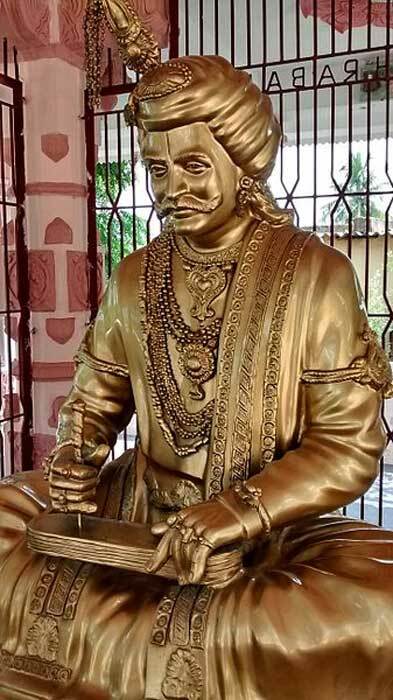 Krishnadevaraya was also a patron of the arts, especially literature. The emperor is known to have been a patron to poets of various languages, including Sanskrit, Telugu, Tamil, and Kannada. It was, however, the Telugu language that prospered most under his reign, and this period came to be known as the ‘golden age of Telugu literature’. Although Krishnadevaraya was an extremely successful ruler, the ending of his story is a rather sad one. In 1524, the emperor appointed his 6 year old son, Tirumalaraya, as the crown prince. In the following year, however, the young boy died of poisoning. Krishnadevaraya’s trusted prime minister, Timmarusu, was suspected of having had a hand in the crown prince’s death and was blinded. In 1529, the emperor fell critically ill, and was succeeded by Achyutadevaraya, a younger half-brother, after his death. With that, the glory days of the Vijayanagara Empire came to an end.